In 1986, Joanne Cochran, Keystone’s President and CEO, co-founded the center to provide health care to the migrant farmworkers in Franklin County. At that time Keystone was comprised of three volunteers providing part-time seasonal health care to migrant farmworkers in Franklin County and saw 500 patients during its first season. Today, Keystone Health has more than 475 employees and sees over 50,000 patients annually. Keystone is co-founded by Joanne Cochran to provide health care to migrant farm workers in Franklin County. The Board expands the mission to include providing care to all residents of the area, regardless of ability to pay. Rural Health Clinic status is obtained and the corporation name is changed to Keystone Rural Health Center. A full-time, year-round family practice known as Keystone Health Center opens at 1331 S. Seventh Street. The low-income and uninsured residents of Franklin County now have access to primary care and auxiliary services. Keystone’s status is elevated to Federally Qualified Health Center for Medicare recipients and shortly thereafter for Medicaid recipients, which enables Keystone to receive cost reimbursement for patients receiving public insurances. Mrs. Cochran obtains Medically Underserved Population status for the low income of Franklin County and Health Professional Shortage Area status for Franklin County, making Keystone eligible to hire National Health Service Corp doctors, highly qualified physicians who chose to work in areas where doctors are needed in exchange for help from the government in repaying their education loans. Keystone receives the additional designation of Community Health Center, making the health center eligible to apply for Public Health Service grants. Because the family providers see that the lack of dental care is impacting the health of uninsured patients, Keystone opens its dental practice, now called Keystone Dental Care. Keystone becomes the administrator of the statewide migrant farmworker grant and contracts with healthcare providers to ensure that migrants across the state have access to care. Keystone receives a state grant to provide HIV/AIDS services in Franklin County, and in 1997 receives a state grant to provide the same services to migrants across Pennsylvania. Because the health center has outgrown the leased 1331 S. Seventh Street location, Keystone conducts a Capital Campaign to raise funds to build the 820 Fifth Avenue facility. The facility is completed in 1998. When two local gynecologists announce their upcoming retirements, Keystone acquires their practice, adding obstetrical services and later renaming the practice as Keystone Women’s Care. Keystone offers its patients discounted pharmaceuticals through the Federal 340B Drug Pricing Program. Keystone volunteers to undergo a Joint Commission on Accreditation of Healthcare Organizations three-day on-site survey and earns full accreditation. Because the Summit Health-owned Franklin County Pediatrics needs additional pediatricians, Keystone acquires the practice so that National Health Service Corp pediatricians can be hired. Keystone purchases the condo which houses the growing Keystone Dental Care. When a local cardiology practice announces it will disband, Keystone opens the Franklin County Heart Center to ensure that cardiology services will be available in the community. Because this is a specialty practice and not part of the Federally Qualified Health Center, a wholly-owned subsidiary, Keystone Physician Services, is formed. The opening of the practice brings the first interventional cardiologists to Franklin County. When Cumberland Valley Mental Health Services (CVMHS) closes, Keystone expands its behavioral health services by hiring additional therapists and two psychiatrists. Keystone also takes over the Crisis Intervention Program that was operated by CVMHS. Keystone undergoes its second Joint Commission survey and is reaccredited. 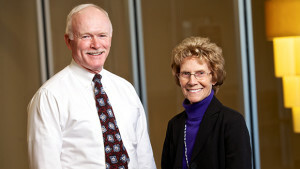 Keystone adds two internal medicine physicians to its staff. Keystone celebrates its 20th anniversary. Administrative services are consolidated in one location, the newly built Summit-Keystone Pavilion. Several practices move into larger offices to accommodate the growing number of patients: Keystone Women’s Care and Franklin County Heart Center move to offices in the Pavilion. Franklin County Pediatrics moves into the Summit Health Center. Keystone’s internal medicine physicians separate from Keystone Family Medicine and move into a suite in the Summit Keystone Pavilion forming a new practice called Keystone Internal Medicine. Keystone is accredited again by The Joint Commission for a three-year period. Keystone Family Medicine begins using a scheduling model that allows patients to schedule any appointment within 24 hours. Keystone Health receives three grants through the American Recovery and Reinvestment Act to increase staffing at Franklin County Pediatrics, expand the Keystone Behavioral Health and Keystone Dental Care facilities, and construct a new building. Keystone Health expands the federal 340B discounted pharmaceuticals program to include more participating pharmacies across Franklin County. Keystone practices begin using Electronic Health Records. Keystone is reaccredited by The Joint Commission for a three-year period. The ARRA-funded expansion of the Keystone Dental Care facility is completed, adding five treatment rooms for a total of eighteen. Keystone celebrates its 25th anniversary. Franklin County Heart Center becomes part of the Federally Qualified Health Center and Keystone Physician Services, the wholly-owned subsidiary, is made inactive. The ARRA-funded expansion of the Keystone Behavioral Health facility is completed, adding treatment rooms and a group therapy room. The new building at 830 Fifth Avenue is completed. Keystone Internal Medicine, Keystone Women’s Care, and Keystone Pediatrics are relocated to the new building. Construction of the new facility was funded by an ARRA grant. Keystone Pharmacy opens in September in the new building. Keystone Walk-In Care opens in November in the new building. The year began with administration requesting that the mission statement be revised to more accurately reflect Keystone’s role in the community. The mission statement was revised to the following: Keystone Health improves the health and quality of life of the people and communities we serve. Keystone received $977, 500 dollars from the government related to its meeting the Meaningful Use criteria noted in the implementation of the Electronic Medical Record. These dollars help to defray the cost of the Electronic Medical Record which was implemented throughout all the practices of Keystone. USG (United Solutions Group) and Keystone signed a two year contract. Effective in June 2012, USG became Keystone’s contracted IT department and service. Keystone will no longer have its own IT operated department. Concomitantly, Keystone reorganized its purchasing and facility functions into two separate departments with new leadership at the head of each department. The Dental practice implemented its Electronic Dental Health Record in June of 2012 and appears to be an improvement with the delivery of dental care. Keystone hired its first Child/Adolescent psychiatrist and opened its Infectious Disease Practice with the joining of two new providers to the Keystone system. Keystone also relocated it HIV program (previously located at 820 Fifth Avenue) into the Infectious Diseases Program located at the 830 Cochran Professional Center. In July of 2012, Franklin County was included in the list of counties in the Commonwealth that are in mandated managed care for all primary care services. Previously only behavioral health services in Franklin County were in mandated managed care. This will cause a shift of patients into newly designated managed care health management organizations. Keystone hired a Public Relations Coordinator who will promote the Keystone practices throughout the community. Keystone was the recipient of a Patient Centered Medical Home that will be implemented at Keystone Family Medicine during the upcoming year. In early 2013, Keystone hired a consultant to begin the process of transitioning to the Patient Centered Medical Home delivery model of care. This model provides a way of organizing primary care that emphasizes care coordination to transform primary care into “what patients want it to be”. Medical homes can lead to higher quality and lower costs, and can improve patients’ and providers’ experience of care. Keystone Board approved Keystone adding Keystone Audiology and Speech to the scope of services offered, and in July, these services opened at 820 Fifth Avenue. Joint Commission visited Keystone for its triennial survey in late May 2013, which resulted in three years of certification as a Joint Commission approved health center. In July, Keystone is notified that is the recipient of an Outreach and Enrollment grant from Centers for Medicaid and Medicare Services, and another for Outreach and Enrollment from HRSA. Keystone used these dollars to hire 11 Navigators to educate and enroll eligible individuals in Franklin County into Medicaid, CHIP and the State Marketplace Insurance plans. Keystone then went on to open Outreach and Enrollment sites in Greencastle, Chambersburg and Waynesboro. In March of 2014, Keystone Walk in Care became Keystone Urgent Care, and expanded its hours to 12 hours daily to better suit the needs of the community. Dr. Michael Colli (Pediatrician and medical director of Keystone Pediatrics) was appointed to the position of Chief Medical Officer of Keystone Health effective July 1, 2014, and Dr. Kawish Garg was appointed to the position of medical director of Keystone Behavioral Medicine. In August, Keystone opened its first STD clinic at Keystone Family Medicine. In October, Keystone was contacted by Family Health Council of Southcentral Pa to determine interest in offering Family Planning Services. In previous years, Keystone had contracted to provide these services. With Family Planning of Chambersburg closing its doors, there was no access to family planning services in Franklin County. Keystone agreed to provide family planning services to begin around the February 2015 timeframe, and will be held in conjunction with the STD program clinics. Also during October, Keystone offered a Free Vision Clinic, and thirty patients received free eye exams and glasses. In December, Dr. Jason Galicia was appointed as Medical Director of Keystone Internal Medicine. The year started with Governor Wolf expanding Medicaid using the Affordable Care Act and terminating “Healthy Pa”. This affected many of Keystone’s patients and the community as a whole. In February, Public Health Hygienists were placed at Keystone Pediatrics to perform dental screenings on site. Keystone started providing Family Planning Services to the community at the location of Keystone Family Medicine. 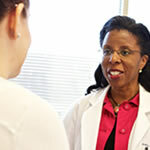 Dr. Yvette Brown was named Medical Director of STD and Family Planning Programs. Keystone Pediatrics opens its own Walk In Program. Keystone was awarded a $1 million dollar HRSA grant to expand dental by 10 operatories to equal 28 operatories in total. In March, Keystone began working with Edlantis, an occupational and speech therapy service program located at the School for Veterans Children in Scotland, and in May, Keystone took over this program under the name of Keystone Pediatric Therapies. Also in March, Keystone received a HRSA S-BIRT (Screening, Brief Intervention, Referral and Treatment) grant and began screening its patients for drug and alcohol usage. Keystone Pediatrics opened a satellite office in Waynesboro, PA in July of this year, with 3 Pediatricians and 1 CRNP staffing the practice. Keystone Internal Medicine and Keystone Family Medicine begin offering IRIS scans to diabetic patients. Mid-year, Keystone signed a contract providing behavioral health services to children and their families, through the Over the Rainbow community program. Through a $1 million federal grant, Keystone began expanding its dental office to accommodate new providers including a pediatric dentist who began in August. In the summer of 2016, Keystone developed a STD, HIV/AIDS, Healthy Woman, Outreach and Enrollment site located at 455 Lincoln Way East, and Keystone underwent is triennial Joint Commission survey and the outcome was that Keystone received accreditation from the Ambulatory Care Division. Keystone Infectious Disease added two physicians during the summer and early fall, totaling three ID physicians to cover both Keystone and Chambersburg Hospital. In September, Keystone opened its first school-based clinic at CASHS with staffing for four hours during school hours. In January of 2017, Keystone underwent an Office of the Inspector General Audit that HRSA mandated for all FQHCs. Keystone passed the audit with no deficiencies. Keystone also underwent its 340B audit and passed that audit with no deficiencies. Also, Keystone Internal Medicine developed a Coumadin program for all Keystone patients. Point of service testing is now available for our patients. In July, Dr. John Palm DDS joined Keystone along with his staff, and became the Dental Director of Keystone Dental Care. Keystone purchased A1C machines for our primary care practices, allowing our low-income patients to obtain regular testing so they can better control their diabetes. The President declared the USA is in a National Opioid Crisis. A Keystone Crisis worker is now working with police departments by accompanying them to emergency crisis calls involving patients with mental health issues. This Crisis worker diffuses the situation and gets the individual the help he/she may need from the health system, not the criminal system. Keystone Behavioral Health (Dr. Mania and Dr. Kaur) and Women’s Care (Dr. Orndorf) began to provide MAT (medication assisted therapy) to deal with the Opioid Crisis. In December, Keystone received Level 3 Patient Centered Medical Home recognition from NCQA for Keystone Family Medicine, Internal Medicine, Pediatrics and HIV. 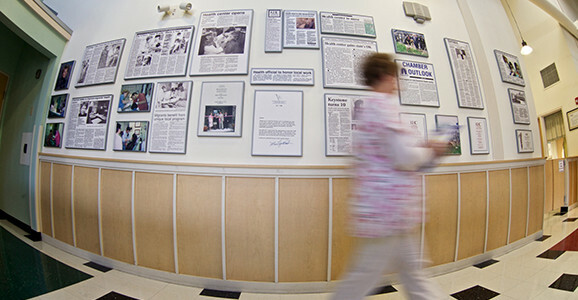 Cardiology was deleted from Keystone’s Scope of Services. In February, Keystone collaborated with Franklin County Head Start by placing a Head Start social worker to be placed within our Keystone Women’s Care office in order to register pregnant mothers into the Head Start program for the many advantages of early childhood intervention through Head Start programming. The program allows for mothers to begin participating in beneficial programs earlier, thus allowing them to reap more benefits available to both the mother and child. In early May, Keystone relocated its behavioral health program into a newly built facility at 110 Chambers Hill. Keystone celebrated with a ribbon cutting ceremony that same month with many community and state representatives present. In June, Keystone underwent its Operational Site Review with HRSA. Keystone was found to have no deficiencies, which was an outstanding outcome. In July, Keystone’s Community Responder Program obtained national recognition for its work with police departments in diverting individuals from jail to treatment centers. Also in July, Keystone broke ground for a new health center to be built on the corner of Norland and Fifth Avenues in Chambersburg. The building will house Keystone’s administration department, Keystone Urgent Care (relocating from 830 Fifth Ave), Keystone Pediatric Therapies (relocating from Scotland Ave), Keystone Pediatric Dentistry, Keystone Community Outreach (HIV/STD program, Family Planning and Infectious Disease services. Also in 2018, Keystone began to use TMS, Transcranial Magnetic Stimulation, in our Behavioral Health office for patients suffering from major depressive disorder.